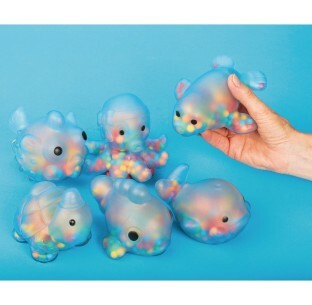 Set of 6 animal-shaped translucent vinyl beanbags with assorted color plastic beads. 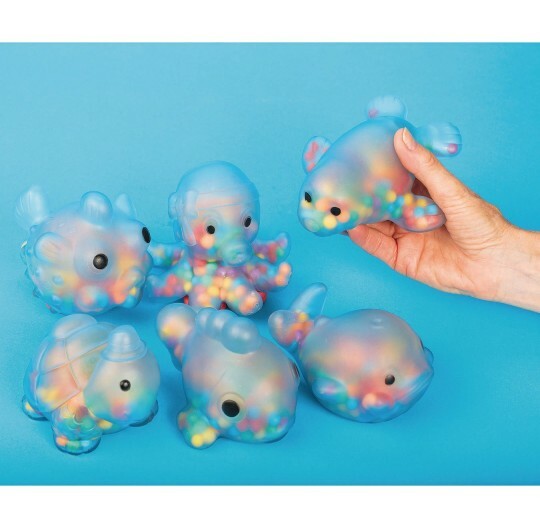 Includes turtle, octopus, fish, seal, whale and blowfish. Approx. 4-1/2" to 5-1/2". We use these to motivate infants to crawl and move. THEY LOVE THEM. The look and feel is very enticing to them. They can put them in their mouth and they are easy to clean.